Lorrie is the technical and training advisor at Safe Kids Worldwide who develops community-based educational programs on vehicle safety in both national and international training programs. 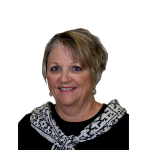 Lorrie has 31 years of experience in the traffic safety field, predominately in the areas of child passengers, bikes, school buses, children with special health care needs, teen drivers, teen passengers, and pedestrian safety. As an advocate for child safety and injury prevention, Lorrie is a nationally certified Child Passenger Safety (CPS) instructor, has consulted on numerous studies, published articles, and routinely participates as an expert panel member for NHTSA and other organizations. She is currently developing information collaboratively about best practices relative to children in automated and autonomous vehicles.